There are different type of forms, there are with more than 1 pages and there are single page form that requires long input of text also. 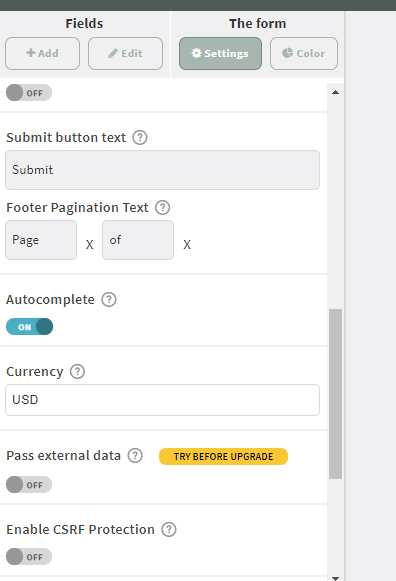 For repeat users, Formlets team enable Autocomplete feature to minimize the time of users to input the previous data all over again. With this, you can autocomplete your form based on your previous responses. 1. Click on the form. 2. Go to your form settings. 3. Activate Autocomplete by clicking it to turn in on. 5. Refresh the form and you will be able to see the last response. If you need to fill up your form again with the same information, this feature is a lot helpful for you.